News about Bees, Beekeeping and honey from around the world. I am grateful to Steve Volk for investigating the role of the U.S. Department of Agriculture in the dramatic decline of honeybees. 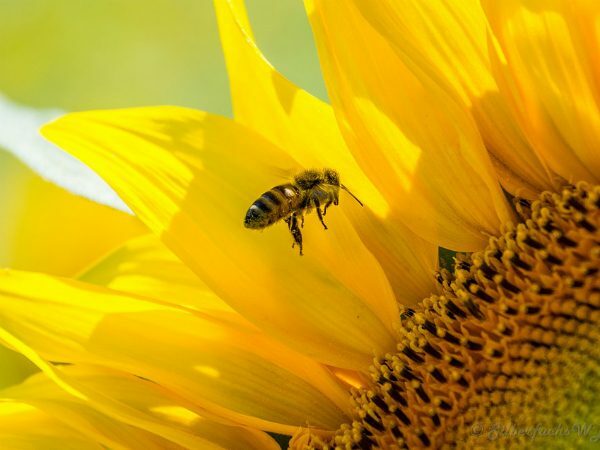 He is right that the USDA “muzzled” Jonathan Lundgren for shedding light on the deadly effects of pesticides on honeybees. I am also not surprised that the USDA demoted another bee scientist, Jeffery Pettis, for telling Congress that pesticides are more hazardous to honeybees than Varroa mites. Morgan Freeman: He acts, he speaks, he directs …. he cares for bees. He is not just talking the talk either, he is also walking the walk. Not long ago he spoke with Jimmy Fallon about his desire to help the planet. They were outcasts. Homeless runaways, shunned by their kin in midflight from their native land. About 200 bees, exiled from their hive, buzzed bereft of heart and home near a fire hydrant they mistook for a bee hotel at Yonge and Eglinton last Thursday.